New York: Monthly Review Press, 1964. Hardcover. xv, 300p., very good condition in a worn and silverfished dj. "Historical and personal account of the General Strike and other troubles in Washington. 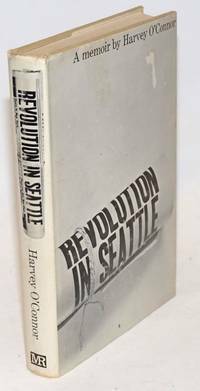 The author describes working conditions in the Pacific Northwest and explains the Everett Massacre and Centralia." *Miles 169. Berkeley: University of California Press, 2004. Hardcover. xi, 248p., a few period and contemporary illustrations, hardbound in red cloth boards spine-titled black. Lacks the publisher's jacket, an else as-new, perfectly sound copy: we see no signs of handling or any ownership or institutional marks. Montevideo: Tae Editorial, 1991. Paperback. 115p., wraps, 5 x 7.25 inches, wraps worn and soiled else very good condition. Text in Spanish. Volume 2 only. 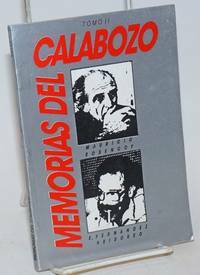 Record of a dialogue between the authors regarding their time as prisoners of the Uruguayan dictatorship. [Canada]: Subversion, 1985. 11x17 inch poster, faint horizontal fold crease, otherwise very good. Text in French. Text is from a letter from the Canadian anarchist Ann Hansen, imprisoned for her work with Direct Action, to Helyette Bess. n.p. : Parody Productions, [199-]. 11x17 inch poster, very good. The apple emblem has been turned red, black and green. Small text at the bottom says "Thing again. When Apple uses images of Cesar Chavez and Rosa Parks, Apple goes for the bottom line." The "Think different" campaign began in 1997. N. pl: National Council of the National Front of the German Democratic Republic, 1971. 93p., numerous illus., very good paperback. East German solidarity publication. San Francisco: Lesbians & Gays Against Intervention and Out of Control, 1991. Four 8.5x14 inch sheets printed both sides and stapled upper-left corner, fold creases, heavily-worn with short tears and small chips. Out! 2:6 is a four page newsletter covering a variety of topics including the Persian Gulf War, defense of reproductive rights, the increased expense and decreasing reliability of MUNI etc. 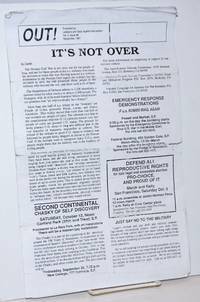 There is a two-page sheet called The Joint Page on Women Prisoners confronting AIDS and the final sheet is Out of Time supporting women political prisoners. San Francisco: Good Times Commune, 1970. Newspaper. 24p., newsprint tabloid, 11x16.5 in., folded, evenly toned, illus., a very good copy. San Francisco's longest lasting underground paper. 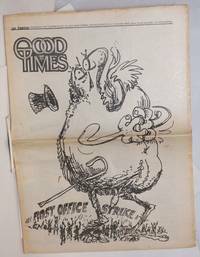 Cover cartoon riffing on the post office strike, though nothing on it inside. 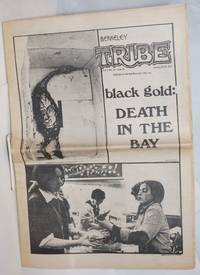 Articles include an interview with Bobby Seale, Coverage of the trial of Soledad prisoners, George Jackson, John Clutchette and Fleeta Drumbo; long discussion of Jimson Weed; growing instructions for pot; plus two grass-oriented posters, spiritual effluvia, and the usual listings, letters, and ads of the era. New York: Fleming H. Revell Company, Publishers of Evangelical Literature, 1887. Hardcover. 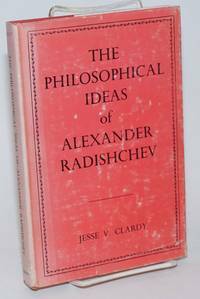 80p., struck from much-used plates on reasonably alkaline paperstock and hardbound in 7.5x5.5 inch flexible cloth boards, tan cloth titled in dark brown. Somewhat edgeworn with a little chaffing at head and tail of spine, endsheets appear clean but are acidic (eventual trouble, none now), titlepage lacks terminal letters of "Johnston" (with other lesser flaws), and rear endsheet bears a child's pencil scribble. The main text has light handling soil and a few pencilled check-marks. As is, a good reading copy. 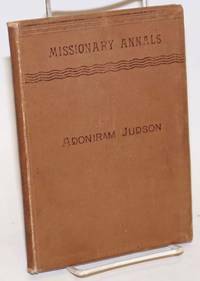 Missionary annals. (A series.). Berkeley, CA: Red Mountain Tribe, 1970. Newspaper. 24 p., folded tabloid, 11.5 x 17 inches, illus., lightly and evenly toned, very good. Cover photos of S.F. Bay birds covered in "black gold" from Standard Oil oilspill. Three pages of coverage of the tanker tragedy inside. 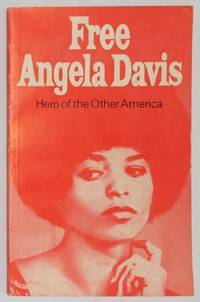 Also: Grand Jury says Angela Davis Guilty, White Panther arrests update, full page letter from Chicano Brother in Resistance, further Prison news, four pages of coverage of the local left election April Coalition, short piece celebrating the third anniversary of the No. Korean capture of the US spy-ship Pueblo and usual news and ads of the era. 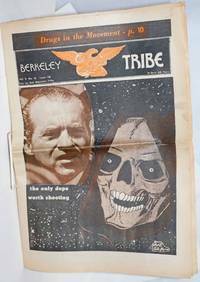 Back cover is poster for "new tribal energy from the people" featuring a map of Berkeley shaped as a fetus inside a womb. n.p., [197-]. 17.5x23 inch poster, caricature of a judge with his mouth twisted into a rectal scowl. Very good, minor smudging in the field. By Serrill, Michael S., editorPhilip B. Taft, Edward Kiersh, Margaret Gentry, Sandra Hansen et al. New York: Criminal Justice Publications, 1981. Magazine. 48p., 8.25x10.75 inches, articles, news, reports, opinion, illustrations and photos, ads, services and resources, mild foxing to covers otherwise a very good magazine in stapled pictorial wraps. Also a San Quentin article on warden Clinton Duffy. Berkeley: Red Mountain Tribe, 1971. Newspaper. 20p., folded tabloid, illus., lightly toned, fingerprints at edge of top front cover, else very good condition. (Part of a sequence of issues in Oct. and Nov. whose numbering was jumbled and duplicated; whole number, i.e. #118 is more trustworthy.). 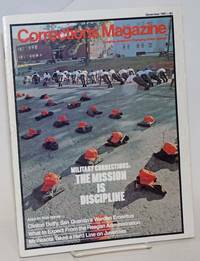 Front cover showcases big centerspread article in the issue by Michael Rossman on "Drugs in the Movement", specifically heroin use spreading in the counterculture. 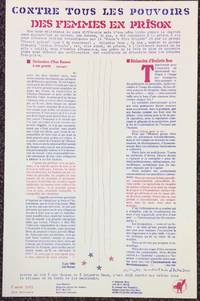 Also; full-page piece by a young woman's woes with IUDs, a page of Young Lords poetry and publicity, communique from Revolutionary Action Movement (MAR) in Mexico, plenty on San Quentin, Soledad, and prisoner struggles. Plus usual news and ads of the era. Circulation statement in issue shows paid circ. of most recent issue at 10,082. Oakland: Left Curve Publications, 2002. Magazine. 144p., 8.5x11 inches, illustrations, features, poetry, prose, very good oversize trade paper magazine in pictorial wraps. 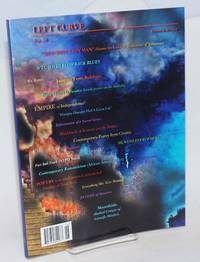 Features Hirschman's poem "The Warcane", plus poetry for the Eastern Correctonal Facility of New York, a cover story on Osama Bin Laden, and more. 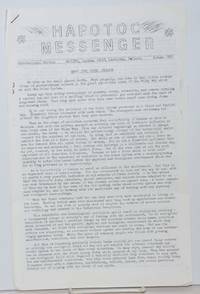 Buffalo, NY: Attica Defense Committee, 1972. 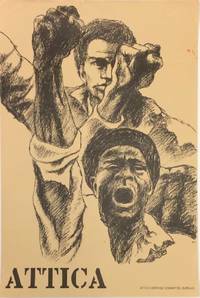 15x22 inch poster, couple minor spots of soil, depicting Black prisoners raising their fists. 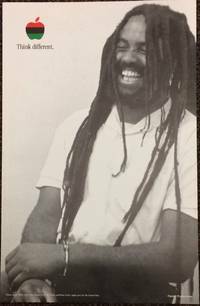 The Attica Defense Committee provided legal and public support for the prisoners who were charged with crimes related to the 1971 rebellion in the Attica Correctional Facility. San Francisco: Good Times Commune, 1970. Newspaper. 24p., folded tabloid, illus., evenly toned, lightly frayed on a couple page edges, stamp on front page, else very good. San Francisco's longest lasting underground paper. 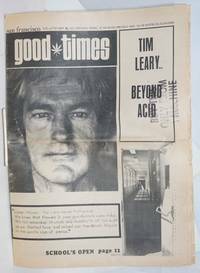 Cover headline: "Tim Leary.. Beyond Acid" with head shot of Tim. Inside: thought piece on Leary's escape from prison the previous week with the assistance of the Weather Underground, two pages on Ruchell Magee's arraignment within San Quentin, report on arab guerrillas vs Israel, essay in defense of sabotage, and centerspread devoted to defending alternative education. Plus usual news and ads of the era. no place: BlackandPink.org, no date. 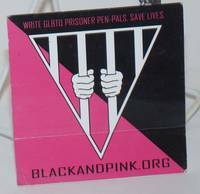 4x4 inch black and pink sticker with inverted triangle of white hands gripping white prison bars, lightly-worn. London: Vision Press Limited, 1964. Hardcover. 155p., openweave red cloth boards in dust jacket. Endsheets of the book itself are blotchily foxed, as is the foredge; dj is rubbed and sunned with some short closed tears. A good-only copy: sound and otherwise clean and unmarked. 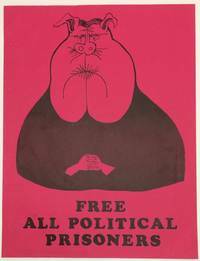 Amsterdam: HAPOTOC [Help A Prisoner and Outlaw Torture Organizing Committee], 1975. Three 8.5x14 inch mimeographed sheets stapled together at upper left corner; additional staple holes from having been closed for mailing; address label and stamp on rear cover. Newsletter of the prisoner support organization. One article describes the difference between HAPOTOC, Amnesty International, and the Anarchist Black Cross. While Amnesty International focused on non-violent prisoners of concience, HAPOTOC also supported militant revolutionaries. It did not limit itself to anarchists like the Black Cross. The cases discussed include some oin the US, Iran, Indonesia, Europe and South America. 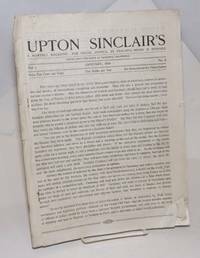 Pasadena: [Upton Sinclair], 1919. 16p., wraps, dampstained and water-damaged, wraps worn with several small closed tears at edges, 8.5x11 inches, staples begining to rust. Commentary on the armistice and world politics, fiction, and letters. Laid in is a 4-p. supplement including letters from prisoners jailed for disloyalty- one claims she was charged by her boyfriend to be rid of her.